PDFProtectFree.com has just released new free software to her teaming global users. 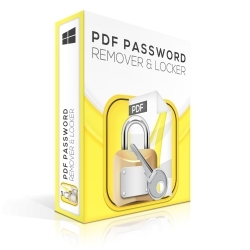 The newly released software are PDF Password Locker and Remover. PDFProtectFree.com, partner of PDFConverters, has announced that their new free software product, PDF Password Locker & Remover has been released. As a free security utility, this program protects PDF files with user password and owner password or both and prevents PDF files from unauthorized access. It also prevents PDF content from being copied with its anti-copy technology. Whats more, it could enable users to remove password of protected PDF files. Hangzhou, China, July 14, 2017 –(PR.com)– The security of PDF files may be one of the most important things for users who work with PDF formats frequently. PDF Password Locker & Remover uses 128-bit high encryption technology that ensures users protect their files from unauthorized access. Unlike other normal PDF Protection software that only provides user passwords or owner passwords, people can configure eight permissions that they give users, which gives them the possibility to manage permissions.One of the highlights of PDF Password Locker & Remover is the anti-copy option, which is a higher level of protection. With this feature, you can turn your PDF files into new ones, but the content or words cannot be copied anymore. No matter if other people try to crack or use restriction removing programs. So readers can only view PDF files. Could they still copy the content just by using “Ctrl + C” and “Ctrl + V”? That will be hard and impossible. Furthermore, another major feature PDF Password Locker & Remover has offered is the password remover. Input the user password or owner password or both correctly and the encrypted PDF file will be unlocked in seconds, with a preview instantly delivered in case of a successful operation.